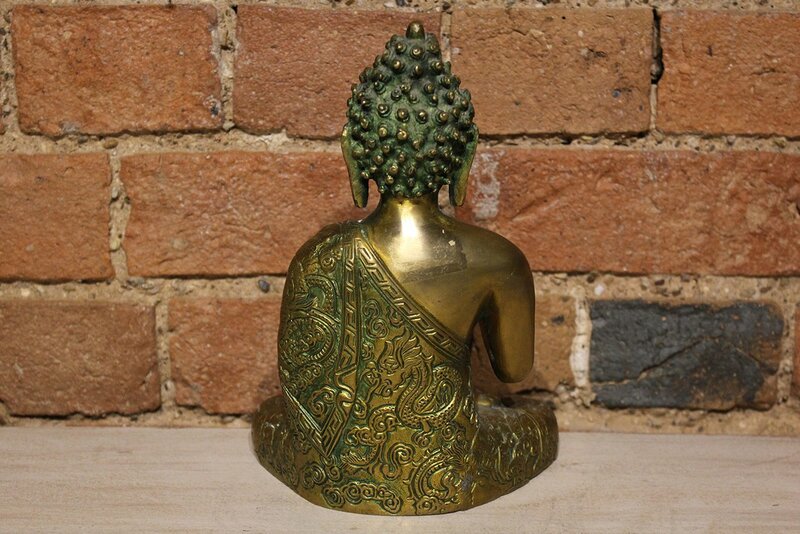 This brass Buddha statue is serene and is finished in gold with a faint green hue. The engravings are particularly intricate, with fine detailing on the wrap around quilt, look closely enough and you will see that the quilt is embroidered with a dragaon! 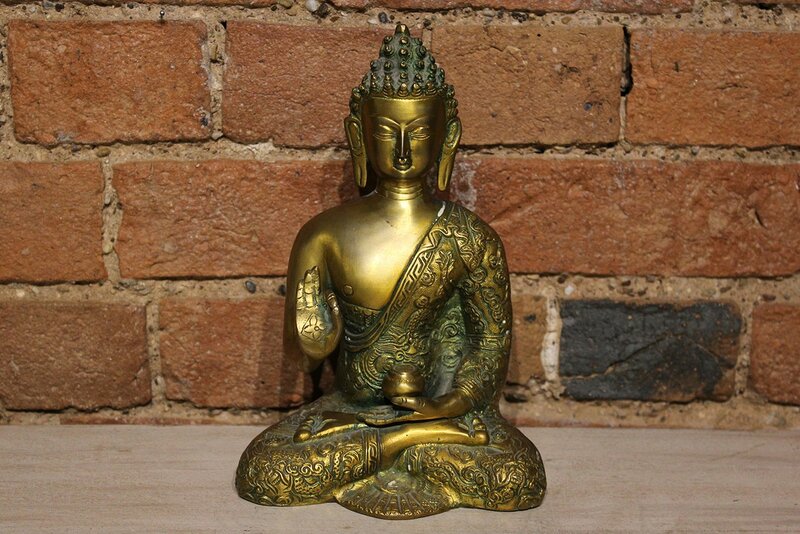 Our range of statues feature exquisite craftsmanship, every piece is touched by the hand of an artist. 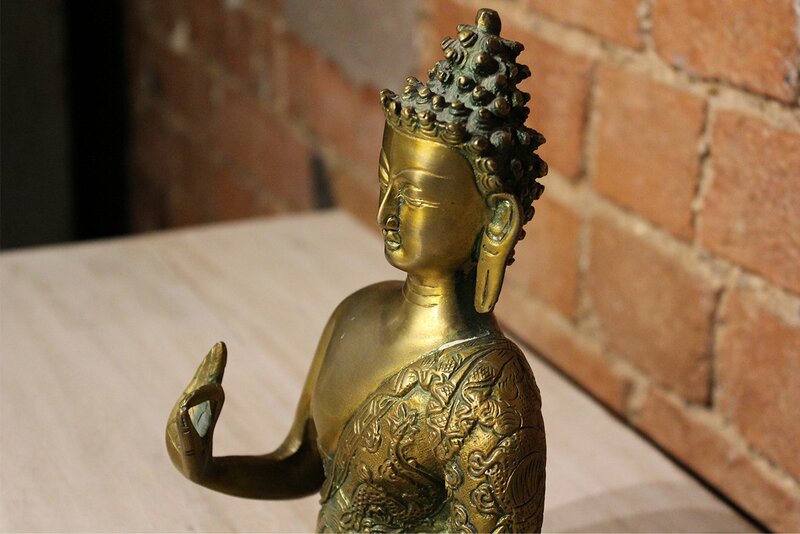 The statues have an element of depth to them, an aura even, so for this reason, we encourage you to display them in a place that is special to you. 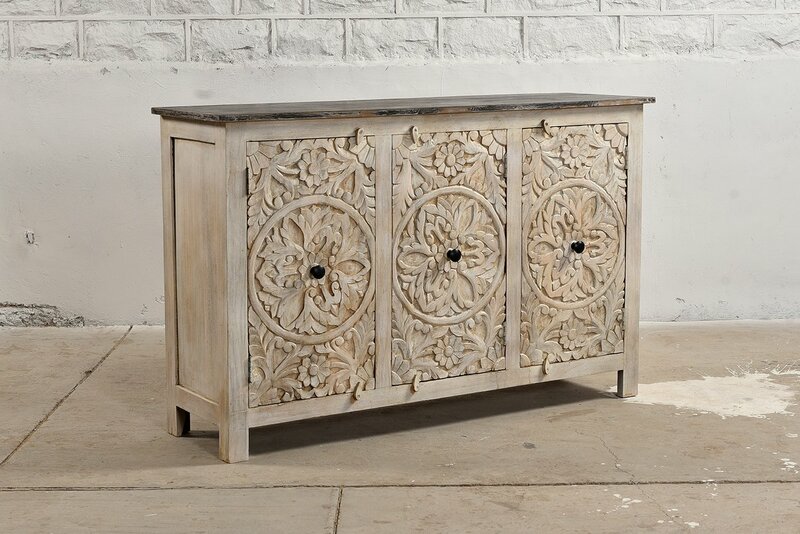 When searching for statues, we only get the very best examples, the ones that speak to us, and the facial engravings are especially important in setting the right tone.